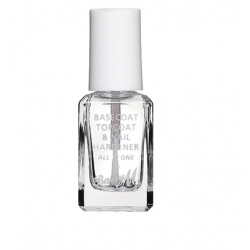 3 in 1: Basecoat, Topcoat and Nail Hardener in one, formulated to meet the needs of busy fingers, this nail paint is so versatile you will wonder how you managed without it. Leaves a high shine glossy finish. 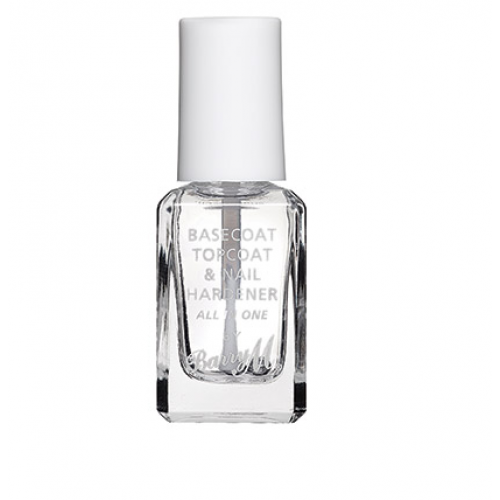 Perfect for using with the Nail Paints to protect and look after your nails. ETHYL ACETATE, BUTYL ACETATE, NITROCELLULOSE, ADIPIC ACID/ NEOPENTYL GLYCOL / TRIMELLITIC ANHYDRIDE COPOLYMER, ACETYL TRIBUTYL CITRATE, ISOPROPYL ALCOHOL, BENZOPHENONE-3, TRIMETHYLPENTANEDIYL DIBENZOATE, POLYVINYL BUTYRAL, CI60725.